There is evidence of increased incidence of childhood cancers; this may be due, in part, to earlier and improved diagnosis. While the causes of childhood cancer are not well understood, there is some evidence of a causal link between exposure to environmental contaminants and the development of cancers. Cancer is the third leading cause of death among children aged 1 to 14 years, accounting for 12.8% of all deaths in this age group. Between 1992 and 2010, the childhood cancer incidence rate increased by 0.4% annually on average. Between 2006 and 2010, neuroblastomas were the most common kinds of cancer in infants less than 1 year old, while leukemias were the most common kinds of cancer among children aged 1 to 4 years. Neurodevelopmental disorders among young children have been associated with exposure to environmental toxins. Developmental and behavioural neurotoxic effects are of particular concern as more is learned about the potential for subtle degrees of impairment at even low level exposures. Lead, methylmercury, and polychlorinated biphenyls (PCBs) have been associated with negative effects on the developing brain and nervous system of the fetus and young children – and there are other toxins of concern. Nearly 3 in 100 (2.5%) of children from 2 to 5 years were diagnosed with a learning disability (other than attention deficit disorder) between 2007 and 2011. Boys are more likely than girls to have been diagnosed with learning disabilities. The rate of obesity has increased in Canada in recent years and is a serious health concern with severe adverse health effects in childhood and later in life. The association between chemical exposures and obesity is not clear. Animal, cellular and some human studies suggest that chemical exposure and air pollutants may be associated with obesity. Children’s built environments may also contribute to the increasing rates of obesity and children who are socioeconomically disadvantaged are more likely to live in built environments that contribute to obesity. Just as young children need consistent and loving relationships with their families, they also need safe environments in which to grow and play. This includes clean air, water and land. They need quality natural and built environments which support, not threaten, their health and development. In 1990, the world, including Canada, signed the United Nations Convention on the Rights of the Child, making a promise to children to protect and promote their rights to survive and thrive, to learn and grow, to make their voices heard and to reach their full potential. The Convention provides protections related to the environment. Children have increased vulnerability to many environmental threats as a consequence of their developmental, behavioural and physiological characteristics. They receive greater exposures per unit of body weight than adults. They have less ability to metabolize, detoxify and excrete many toxins. Young children are at critical periods of development, and exposure can result in irreversible damage to the growing nervous system, affect emerging behaviour patterns, cause immune dysfunction and have serious reproductive effects. Young children’s behaviour, such as frequent hand-to-mouth activity, exploration and proximity to the ground, often places them at higher risk than adults to environmental hazards. There are certain metals found in the environment that pose a particular risk to children. These include lead and mercury – among others. All children and youth in Canada are exposed to lead, as it occurs naturally in the environment and is present in human-made products. Lead is one of the most extensively researched toxins, and has been linked to many adverse health and behavioural outcomes. Mercury exposure can have negative neurological, renal, cardiovascular, and immunological effects. Evidence suggests that a number of synthetic and naturally occurring organic chemicals, such as Bisphenol A (BPA), phthalates and others, may disrupt the endocrine systems of humans and wildlife. The fetus and young child may be at a particularly high risk from even very low levels of endocrine disrupting chemicals because of the important role that the endocrine system plays in development. Regulations now limit the use of BPA in some consumer products, such as infant bottles. However, BPA is still present in other products, potentially exposing Canadian children to this chemical daily. Health Canada has placed restrictions on the use of Mono benzyl phthalate in children’s toys/products. Canada does not compare well on international environmental indicators. In 2016, the Conference Board of Canada ranked Canada third last among 15 peer countries. Compared to our international peers, all of the provinces also ranked poorly. Children inhale or come into skin contact with contaminants from outdoor and indoor air. Young children are at high risk from exposure to toxins in air, because they require more air per kilogram of body weight than adults – therefore, they inhale greater amounts of air pollutants relative to their body weight. They also spend more time engaged in vigorous outdoor activities compared to adults. Environmental tobacco smoke and mould are recognized toxins with many adverse health effects. Six percent of children 3 to 5 years of age are exposed to environmental tobacco smoke in their homes every day or almost every day, and 13% of Canadians reported the presence of mould or mildew in their homes. Smog is made up of ground-level ozone (O3) and fine particulate matter (PM2.5). Exposure to smog has been associated with a number of health effects such as premature death, asthma and other respiratory illnesses. Between 2000 and 2014 the annual average of fine particulate matter was below the 2015 national air quality standards. Water quality is an important determinant of health. Children are at increased risk to the effects of contaminants in drinking water because they drink relatively more water per unit of body weight than adults. Based on a national monitoring system, between 2010 to 2012, 45% of 172 monitoring stations reported that the water was of excellent or good quality. 18% reported that it was poor or marginal. In 2009, 11% of all Canadian households reported that they had to boil their water prior to drinking at least once in the previous year. Climate change is leading to more severe weather around the world such as heat waves, droughts and extreme storms, rising sea levels, changes in the range of insects that carry infectious diseases and changes to agriculture and the production of food products, as well as the availability of fresh, clean water. Greenhouse gases trap heat in the Earth’s atmosphere. Between 1990 and 2015, Canada’s total greenhouse gas emissions increased by 20%. According to the Organisation for Economic Co-operation and Development in 2014, Canada had the fourth highest level of greenhouse gas emissions of 35 OECD countries and the third highest level of greenhouse gas emissions per capita. Canada is more vulnerable to climate change than other countries. From 1948 to 2012, the annual average surface air temperature in Canada increased by approximately 1.7°C, roughly twice the global increase. This has contributed to the increased frequency, duration and intensity of climate and weather-related events and disasters. In Northern Canada, the average temperature increase has been greater than that for Canada overall. Most vulnerable are the Indigenous peoples, who make up over half of the North’s population. Children who live in low income households are more vulnerable to the effects of climate change. They are less likely to have access to air conditioning and are more likely to share smaller living quarters with more people, which contributes to a warmer living environment. Lower quality housing is more likely to be damaged by climate-related events. Increasing and changing patterns of vector borne illnesses are a particular threat to children because they generally spend more time outside than adults. The increase in Lyme Disease in Canada is an example. Depletion of atmospheric ozone is linked directly to ultravioket (UV) radiation, which in turn is linked to heightened risk of skin cancer. Researchers believe that high exposure to UV rays as a child is one of the most significant risk factors for this form of cancer. Fortunately, the majority of parents in Canada covered their children’s heads (84%) and used sunscreen on their faces (86%) according to 2006 reports. 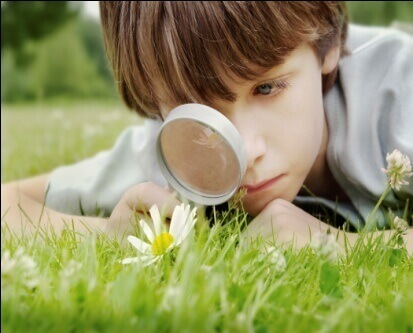 There is accumulating evidence regarding the health benefits for young children on the time spent in nature/greenspace. The majority of Canadians – 85% – report that they live with a park or green space close to home. This varied by province. In 2013, Canadians living in lower income households were less likely to live near a green space. Engaging in active outdoor play benefits children’s physical and mental health. A recent systematic review has identified the positive benefits of ‘risky outdoor play’ on healthy child development. Allowing children the freedom to explore natural settings, play and be active helps develop resilience, problem solving skills and evaluating challenges based on their individual abilities, along with all of the benefits of physical activity. The length of pregnancy/gestation has a large impact on an infant’s health at birth and throughout life. Babies who are born too soon – preterm – and babies who are born at low birth weight are at increased risk of death, developmental problems and health challenges. Complications related to short gestation and low birth weight are the second leading cause of infant death in Canada – accounting for 20% of all infant deaths. There is a growing body of research examining the association between exposure to environmental toxins and preterm birth and low birth weight – but the data are not conclusive. Other research has shown an association between phthalate exposure during gestation and preterm birth and low birth weight. Continued research is needed. In 2010, 11,441 babies were born with congenital anomalies (birth defects) in Canada. Congenital anomalies are the leading cause of death for babies under a year, accounting for about a third of all infant deaths in Canada. There is a growing body of research examining the association between environmental exposures and birth defects. Several studies have found an increased risk for congenital anomalies in mothers who were exposed to organic solvents during pregnancy. Contaminants in both indoor and outdoor air are associated with respiratory problems in children. In 2009/10, respiratory illness was the leading cause of hospitalization for children aged 1 to 4. In the same period, there were 25,301 hospitalizations due to respiratory illness among children aged 1 to 4, which was the second leading cause of hospitalization among infants under 1 year.